Truffles that are "mindfully crafted by a Chef in a little cabin at 10,000 feet high in the San Juan mountains above Telluride." Their world-to-table ingredients are thoughtfully sourced from artisan origin farms around the world. They are driven by one simple ambition: to make the best-tasting and highest quality cannabis products. Binske cannabis represents a complexity of flavors and sensations with every bite, sip or hit. CannaPunch has been made in colorful Colorado since 2009. They always hold themselves and their process to the highest standards. They set themselves apart from the competition by using only whole cannabis flowers to make their elixir which is then completely emulsified into their base ingredients. ​This is no regular lollipop. Not by a long shot. This is the perfect combination of adult fun and great tasting flavors. Each pop is carefully crafted with 10mg of the finest THC. Each is fast-acting, potent and sold in a child-proof and resealable package. In music, codas are an essential part of the greater understanding of a song. As we listen to the coda, we hear a culmination of the musical phrases that came before while experiencing a truly distinct sound. Coda Signature™ is that distinct presence in the evolution of cannabis. Coda Signature creates cannabis chocolates full of inspiration and imagination. Each piece of chocolate tells a story through exciting colors and bold flavors that harmonize seamlessly with impeccable craftsmanship and quality ingredients. Coda Signature elevates the experience of cannabis confection the way music and food elevates life. DISTRICT EDIBLES is a quality, artisan crafted edible line now available in Colorado. 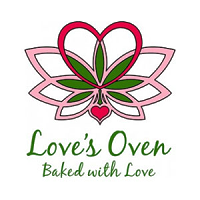 All edibles are created in small batches, with Ultra premium CO2 extracted cannabis oil. Consumers will feel the difference in the quality and consistency of the products so you can really redefine your high! With so many other edibles on the market it is sometimes hard to find a way to set things apart from the competition, but they think they found a way by offering something handmade, 100% all-natural, gluten free, and Vegan, and using some of the best medicine in the state!! Featuring a full line of THC-infused terpene-rich artisanal edibles, the incredibles brand continues to lead the industry in innovative edibles, chocolates and Gum-e bites with more product lines in development. The incredibles brand promise is that every product undergoes rigorous testing ensuring consistency in potency and in delivering the highest levels of food production safety.